Our app is almost done. You can already play and enter guesses until you get the right number. However, you can’t really see if you’ve won or if your guess is too high or too low. In this part of the tutorial, we will be adding some alerts, as well as updating our guessLabel, to notify the player on the state of the game. 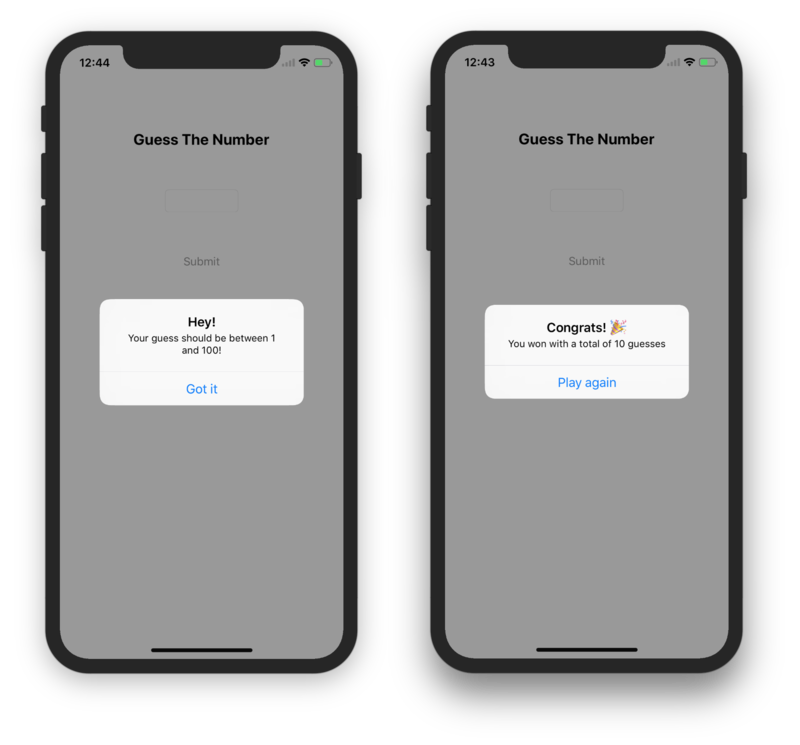 Now, we will be adding some alerts to warn players when they enter a guess lower than 1 or higher than 100, and to let them know when they’ve won. To do this, we will write two new helper functions: showBoundsAlert and showWinAlert. Replace print("You win!") with showWinAlert(). You created your very first iOS app, congrats! You learned how to use Interface Builder, how to link your storyboard to your code, and how to create custom alerts. 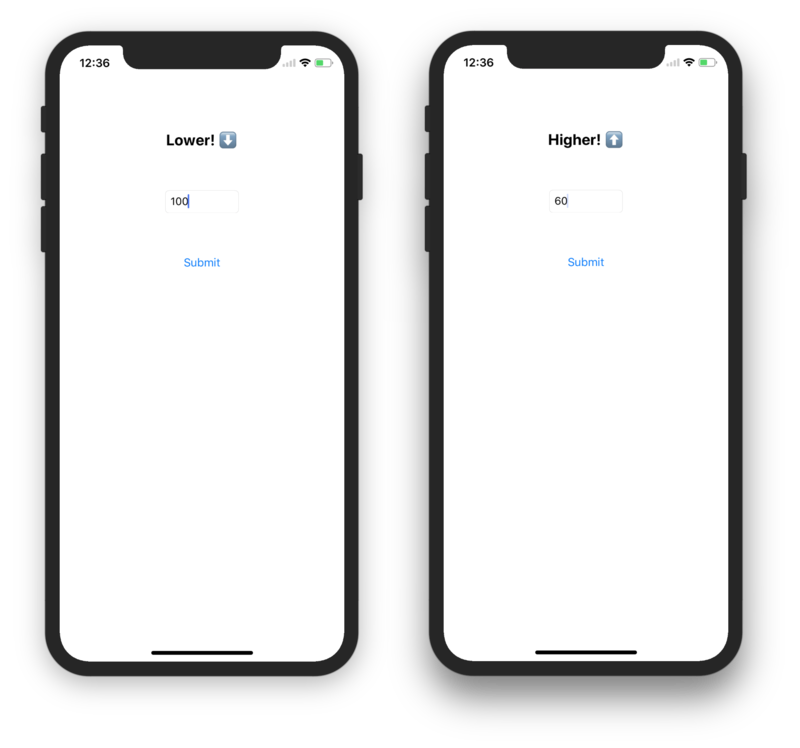 If you have any feedback for this tutorial, contact us at iosgatech@gmail.com.